Mardi Gras will be the theme of the night when women throughout Solano County gather for the second annual Spirit of Women “Girls Night Out” on Friday, Oct. 7, at the Vacaville Performing Arts Theater (VPAT). Sponsored by the NorthBay Center for Women’s Health, this year’s event features nationally known comedian Kat Simmons and a guest appearance by comedian Donna Cherry. 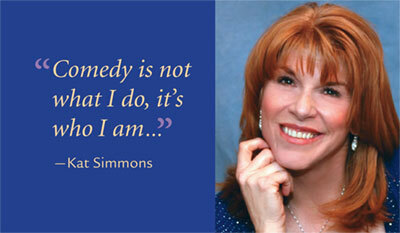 Kat Simmons brings to the stage a taste of Lucille Ball and Carol Burnett rolled into one hilarious show. Her unique talent combines physical comedy with real life situations, laced with things most of women would dare not talk about. She makes it look normal. You may have seen comedian Donna Cherry on “Desperate Housewives” (ABC), in “The Ultimate Gift” (FoxFaith Release with Abigail Breslin and James Garner) or on Disney’s “The Suite Life of Zach and Cody,” in which she had a recurring role. A regular at The Comedy Store, she has toured with Barry Manilow and Sherman Hemsley, and performed in such prestigious venues as Madison Square Garden, Universal Amphitheatre and London’s Wembley Arena. 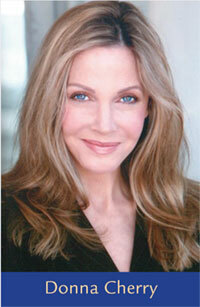 A former “Miss California,” Cherry has made appearances on The Tonight Show and Comedy Central. She brings her hilarious spot-on impressions, voice and stand-up comedy to Vacaville especially for this Spirit of Women event. 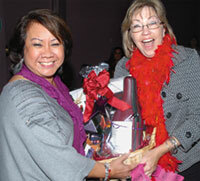 “Girls Night Out” made its debut in Vacaville last year with a sell-out performance. This year’s event has expanded into the next-door Ulatis Community Center and promises even more fun and excitement with boutique shopping, a photo booth, health information booths, hors d’oeuvres and wine tasting. The evening will include enticing gift basket raffles and a few surprises, with everyone invited to wear Mardi Gras costumes. Tickets are $35 for Spirit members and $40 for the general public. Tickets are available from the VPAT box office in Vacaville, the Women’s Resource Center in Fairfield, and at NorthBayWomen.org. For further information, call the NorthBay Women’s Resource Center at (707) 646-4267 or e-mail womenshealth@northbay.org.